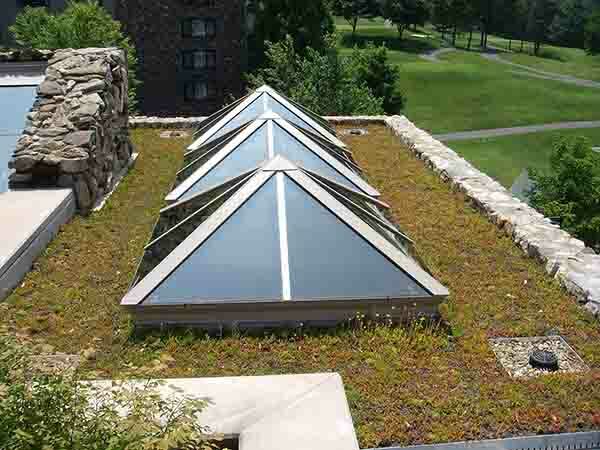 The Omni Grove Park Inn | commercial | Living Roofs Inc.
roof is most visible from terraces and integrates the lounge into the surrounding landscape. The green roof system selected for the project was LiveRoof pre-vegetated modular tray. The plants are a mixture of deciduous and evergreen drought tolerant species and will provide year-round interest from foliage and blooms. 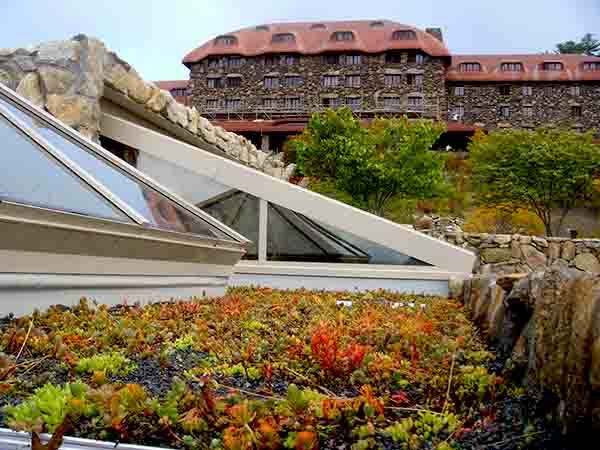 The green roof will help to mitigate stormwater runoff and reduce energy costs. We were fortunate to have the assistance of a crew from Asheville Green Opportunities on this project.